Here’s the stuff that looks like good news, at least in previews. Note that Apple tends to focus on just major new features they want to message, so each OS may reveal more in time. A lot of this has to do with responsiveness when launching apps or bringing up the keyboard or camera, so it may not directly impact audio apps – most of which do their heavy work at a pretty low level. But it’s nice to see Apple improve the experience for long-term owners, not just show off things that are new. And even as Android devices boast high-end specs on paper, that platform still lags iOS badly when it comes to things like touch response or low-latency audio. Smoother animation is also a big one. Augmented reality. 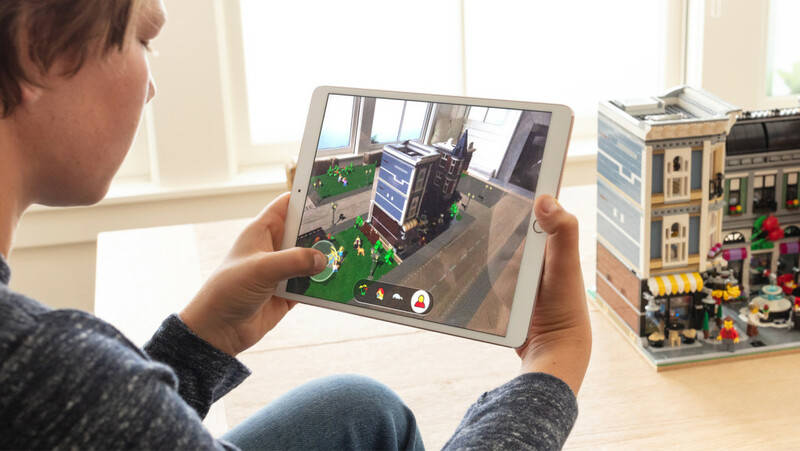 Apple has updated their augmented reality to ARKit 2. These are the tools that let you map 3D objects and visualizations to a real-world camera feed – it basically lets you hold up a phone or tablet instead of don goggles, and mix the real world view with the virtual one. New for developers: persist your augmented reality between sessions (without devs having to do that themselves), object detection and tracking, and multi-user support. They’ve also unveiled a new format for objects. I know AR experimentation is already of major interest to digital artists. The readiness of iOS as a platform means they have a canvas for those experiments. Both augmented reality and virtual reality offer some new immersive experiences musicians and artists are sure to exploit. Hey, no more playing Dark Side of the Moon to The Wizard of Oz; now you can deliver an integrated AV experience. Google’s Android and Apple are neck and neck here, but because Apple delivers updates faster, they can rightfully claim to be the largest platform for the technology. (They also have devices: iPhone SE / 6s and up and 5th generation iPad and iPads Pro all work.) Google’s challenge here I think is really adoption. That said, Google has some really compelling 3D audio solutions – more on this landscape soon, on both platforms. Real Do Not Disturb. This is overdue, but I think a major addition for those of us wanting to focus on music on iOS and not have to deal with notifications. Siri Shortcuts. This is a bit like the third-party power app Workflow; it allows you to chain activities and apps together. I expect that could be meaningful to advanced iOS users; we’ll just have to see more details. It could mean, for instance, handy record + process audio batches. Voice Memos on iPad. I know a lot of musicians still use this so – now you’ve got it in both places, with cloud sync. Dark Mode. Finally. And another chance to keep screens from blaring at us in studios or onstage – though Windows and Linux users have this already, of course. Improved Finder. This is more graphics oriented than music oriented, of course – but creative users in general will appreciate the complete metadata preview pane. Also nice: Quick Actions, which also support the seldom-used, ill-documented, but kind of amazing Automator. Automator also has a lot of audio-specific actions with some apps; it’s worth checking out. There are also lots of nice photo and image markup tools. Stacks. Iterations of this concept have been around since the 90s, but finally we see it in an official Apple OS release. Stacks organize files on your desktop automatically, so you don’t have a pile of icons everywhere. Apple got us in this mess in the 80s (or is that Xerox in the 70s) but … finally they’re helping us dig out again. App Store and the iOS-Mac ecosystem. Apple refreshing their App Store may be a bigger deal than it seems. 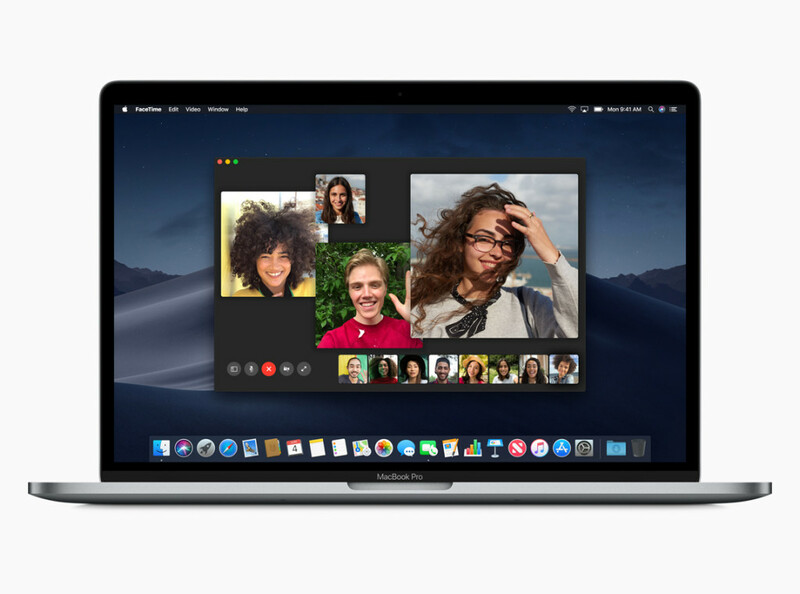 A number of music developers are seeing big gains on Apple mobile platforms – and they’re trying to leverage that success by bringing apps to desktop Mac, something that the Windows ecosystem really doesn’t provide. It sounds like Intua, creators of BeatMaker, might even have a desktop app in store. And having a better App Store means that it’s more likely developers will be able to sell their apps – meaning more Mac music apps. There’s of course a lot more to these updates, but more on either the developer side or consumer things less relevant to our audience. The big question for Apple remains – what is their hardware roadmap? The iPad has no real rivals apart from shifting focus to Windows-native tablets like the Surface, but the Mac has loads of competition for visual and music production. Generally, I don’t know that either Windows or macOS can deliver a lot for pro users in these kinds of updates. We’re at a mature, iterative phase for desktop OSes. But that’s okay. Now, what we hope as always is that updates don’t just break our existing stuff. Case in point: Apple moving away from OpenCL and OpenGL. But even there, as one reader comments, hardware is everything. Apple dropping OpenCL isn’t as big to some developers and artists as the fact that you can’t buy a machine with an NVIDIA card in it. Well, we’ll be watching. And as usual, anything that may or may not break audio and music tools, we’ll find out only closer to release.